Although there is agreement that euphoria and grandiosity are cardinal symptoms of mania (Leibenluft, Charney, Towbin, Bhangoo, & Pine), there is no consensus on what constitutes euphoria or grandiosity in children. First, as Shaffer has noted (World Congress of Psychiatry, Yokahama, Japan), structured and semistructured interviews elicit euphoria quite differently. How does one ask a child about being "high"? Should the feeling be disengaged from circumstance? If a child appears goofy and silly, is that the same as euphoric? Is the "class clown" who has ADHD really euphoric? Does development of emotion regulation with age diminish rates of silly behavior? To explore the relation between euphoria and age, correlations were obtained on mania ratings in 290 children, psychiatrically hospitalized during the years 1988 to 1993 (Carlson; Carlson & Youngstrom). These were obtained from the Young Mania Rating Scale (Young, Biggs, Ziegler, & Meyer) collected on admission, 1 week later, and at discharge by a trained child psychologist on children between ages 5 and 12 (inclusive). There were small but significant negative correlations with age for three items: aggression (r = –0.2, p = .002), euphoria, (r = –0.15, p = .026), and hyperactivity (r = –0.398, p = .000). In other words, the younger the child, the more hyperactive, aggressive and "euphoric." Although the developmental aspects of hyperactivity and aggression are not new, to my knowledge, no one has explored euphoria and age. Similar correlations were run on three factors from the Inpatient Global Rating Scale (see Carlson; Carlson & Mick; Carlson & Youngstrom). This scale, which was developed (though never used to my knowledge) by Conners, has factors very similar to the Child Behavior Checklist (Achenbach). As rated by both the day and evening shift separately, there were significant correlations for aggression, overactivity, and, again, euphoria. In this case, the Euphoria factor was comprised of the following items: smiling, happy, outgoing, initiates interaction, cheerful, friendly, participates in activities. These were rated on a scale from 0 (never) to 3 (very often). For the first 2 weeks of hospitalization, usually before the child was on medication, we found the following correlations with age for aggression: Week 1 (r = –.210, day shift; r = –.286, evening shift); Week 2 (r = –.221/days; r = –.259 evenings). For overactivity: Week 1 (r = –.313, days; r = –.408, evenings); Week 2 (r = –.360, days; r = –.453, evenings). For euphoria: Week 1(r = –.192, days ; r = –.238, evenings); Week 2: (r = –.165, days; r = –.201, evenings). Significance was from p levels of .000 to .003. The relations, then, albeit small, were consistent and stable. What makes the data additionally compelling was that the nurses completing the ratings had often been nurses on the adult psychiatry unit. Although they were not, by and large, calling these youngsters pathologically euphoric, they did note that the younger the children were, the more friendly and disinhibited they were. Grandiosity is defined as "an inflated appraisal of one’s worth, power, knowledge, importance or identity. When extreme, grandiosity may be of delusional proportions" (American Psychiatric Association). Parents have told me they think their child is grandiose because he or she thinks the professional sports scouts or talent scouts will select him or her. Depending on how I ask the child, I can get two different responses. If I ask, "Have you ever felt you were the smartest kid in your class, or the best baseball player ever, or are you super self-confident? Are you much better, smarter, stronger than others? Or do you have special plans for the world?" I will sometimes get a "yes." Not infrequently, however, a little more probing reveals the child wishes he or she had those attributes but doesn’t really think he or she does. Harrington and Myatt have also expressed concern about the "cultural and developmental context" of grandiosity and questioned if "a manic adolescent, even in the absence of musical talent or ability to carry a tune, might practice all day with the belief that he or she can become a rock star" as cited in Geller and Luby is really delusional. They go on to say "One only has to tune into a television talent show to see that many young people have an extraordinary belief in their own abilities to become a star, even when they manifestly have little or no talent. A delusion is not just a false belief. It is a false belief that is not amenable to reason and inappropriate to the person’s culture and age. Most accounts of mania, for example, place great emphasis on heightened self-esteem, yet we know that there are marked developmental changes in self-representations (Harter). Thus, to experience the typical manic symptom of being especially talented at something, a person must be able to construct a general evaluation of himself or herself as a person and to attribute the talent to that person. The ability to develop such generalized self-evaluations does not generally occur until late preadolescence (Higgins)." Some years ago, in fact, Breslau examined this issue of grandiosity systematically using the Diagnostic Interview Schedule for Children. She felt that grandiosity can be falsely endorsed by parents and gave a couple of circumstances. To the question "Have you had some kind of special powers which make it possible for you to do things that other people your own age can’t do?" she found that the interviewee often compared himself or herself to others regarding specific accomplishments (e.g., "I can beat up the boys at school"; "I do the best work in my class"; "I read better than others"; "I can do more in sports than others"). Responses focusing on special skills might be "I can draw better than anyone else." These endorsements are not truly grandiose. Rates of grandiosity dropped from 11.25% taken at face value to 0.4% after such "editing." A similar point has been made about accepting parent-endorsed items on the Child Behavior Checklist (Achenbach), that is, it is easy for parents to misinterpret items, and the responses should be reviewed with them before final scoring (Perrin, Stein, & Drotar). Breslau’s data highlighted two points. First, the listener may not know exactly what the examiner means—something that might be more of a problem in respondent-based interviews when, wanting to please, a participant endorses grandiosity that doesn’t truly exist. Second, the examiner might define grandiosity in ways that do not have universal agreement. For instance, bragging or talking back to the principal might be inappropriate or ill-advised, but whether this invariably constitutes grandiosity has not been explored, at least in children. If that is what is coded as grandiosity, the overlap between mania and conduct disorder increases. There may well be developmental aspects to grandiosity. If a young child assumes anyone can fly, it may not be grandiose for him or her to think he or she can fly. If there is a relation between reality testing and age (e.g., Caplan, Guthrie, Tang, Komo, & Asarnow), it is reasonable to assume that inflated self-esteem, or thinking one can do things that one cannot do, may have different meanings at different ages. Sprafkin, Kelly, and Gadow reported that children with learning disabilities were less likely than children without learning disabilities to understand that the impossible things portrayed in cartoons were truly impossible. Finally, there are two other populations in which inflated self-esteem are seen. Abused children constitute one. Vondra, Barnett, and Cicchetti, reporting on maltreated preschool children, and more recently Macfie, Cicchetti, and Toth, in a study examining dissociation in maltreated preschool children, found that many more abused than nonabused children reported unrealistic and grandiose responses to a narrative story stem completion task. In a different population, Hoza, Pelham, Dobbs, Owens, and Pillow and Owens and Hoza reported that boys with ADHD overestimated their competence in areas in which they were most impaired. In other words, these children did not acknowledge their serious academic and social deficits and had what others would call a strong sense of denial (which the authors called a positive illusory bias). Interestingly, this relatively inflated self-perception was associated with hyperactivity and impulsivity, not inattention. Gender, age, and IQ did not account for this finding. This finding suggests, then, that unless one takes a conservative view of what constitutes inflated self-esteem, children with ADHD hyperactive or combined type may demonstrate this positive illusory bias and get called "manic." There may be other cultural aspects of symptom interpretation that have not been explored to my knowledge in children. In adults, there are data suggesting that rates and types of psychotic symptoms, including delusions of grandeur, may be higher among African American patients with mania (Strakowski et al.) and that, overall, the diagnosis of psychotic affective disorder may be harder to make (Sohler & Bromet). Even if cultural differences haven’t been studied systematically in children, one might speculate on an indirect effect. That is, insofar as family history is frequently used to help make a diagnosis in a child, if a parent is misdiagnosed, a false conclusion can be drawn regarding the child. The aforementioned speculations are not meant to call the concept of childhood mania into question so much as to suggest that assumptions that have been made about the uniqueness of certain symptoms, or their distinguishing presence in adults, may need further consideration in children. Even the carefully done studies comparing children with mania with those with ADHD (Biederman et al. ; Geller, Warner, Williams, & Zimerman) do not help us out, because the manic children have many more comorbidities than those with ADHD. Much of what has been attributed to mania disappears when comorbidities are matched (Carlson, Loney, Salisbury, Kramer, & Arthur). These considerations become less vexing in cases in which the child is somewhat older and clearly understands the questions and their intent and those in which the behaviors and emotions as observed by others clearly represent a change in functioning. 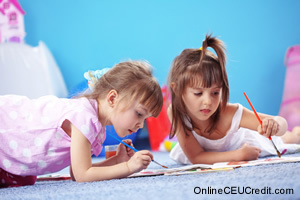 Nevertheless, at the very least, the training one gets in the use of a structured interview of a child needs to be comprehensive, the actual questioning must be open-ended enough that the examiner can explore the participant’s understanding of the terms, and the interviewer must be knowledgeable enough in child development to sort out the responses. By way of follow-up, Darren was seen again at age 7½. He still had rages. He still had symptoms that a family member dubbed "a touch of autism." However, Darren volunteered that although he was smart, he was not the smartest child in his class. When specifically asked whether he was strong enough to swim across the ocean, or run fast enough to keep up with a car, he said, "Of course not! No one could do that!" When reminded he had told me that earlier, he said, "I was too little to know better." The preceding section contained information about the developmental aspects of euphoria and grandiosity in bipolar children. Write three case study examples regarding how you might use the content of this section in your practice. According to Carlson, what is one problem with identifying euphoria and grandiosity in young children? Record the letter of the correct answer the CEU Answer Booklet.